Custom and ready-made solutions designed for corporate needs. Our corporate wear uniforms cater to the needs of organizations and companies, creating a coherent look and style across all customer touchpoints. 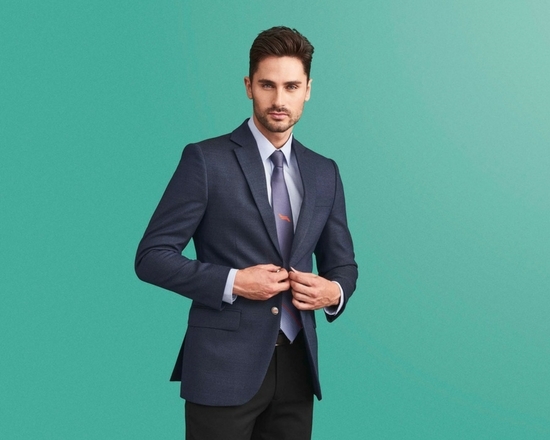 Corporate clothing will reinforce your corporate identity and build a sense of pride and belonging among staff, as well as make employees easily recognizable to customers. As a corporate wear supplier, we offer both ready-made and tailored corporate wear for your specific branding needs. Our uniform packages can be fully customized to comply with every need for personalization, from fabrics and fit to design and details. Other corporate clothing options pair ready-made garments with customized features. As a premium supplier, we assist clients in creating a tailored corporate clothing solution and guide them through every step of the process, from initial brief to launch of a new corporate look. Custom solutions come in a variety of styles, colors, fabrics, details and accessories – and may vary in look and feel; client needs determine the solution we create. Getting the perfect fit is also key to a professional appearance, along with satisfied uniform wearers. To succeed, we carry out fittings of each employee and travel the world to conduct onsite fitting sessions at our clients. If required, garments in need of special care are customized according to individual employee measurements, resulting in a professional fit and corporate wear uniforms employees enjoy to wear. Whatever your corporate needs, we supply high-quality solutions that go beyond your expectations. We will guide you through the entire process and create a tailored solution for you. Dress your female staff in stylish business attire and create a professional look that represents your brand in true style. Have your male staff represent your brand in a professional yet stylish fashion with a bespoke corporate wear solution that caters to your needs.